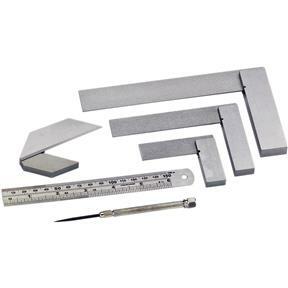 This Stainless Steel Center Square Set comes with just about all you need to layout your machining jobs. 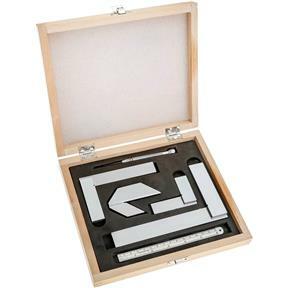 Includes 6" scale with inch and metric measurements, 2" center square, scribe and 1 each 2 3/4", 4 3/4", 4 3/4" and 7" squares. Custom fitted case. 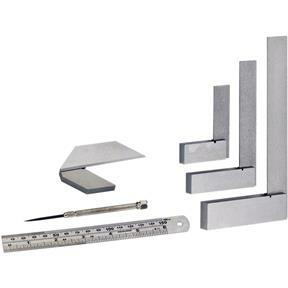 I bought the set for the squares, primarily to help set up my table saw. And the first thing I used was the center square for something my wife asked for. The set is really useful, well built and accurate! Perfect kit for the hobbyists and beyond. The basic needs requirements fulfilled.